I borrowed the phrase from a study by the Ghana Integrity Initiative (GII) Consortium comprising the GII, the local chapter of Transparency International (TI), the Ghana Anti-Corruption Coalition (GACC) and SEND Ghana. In that study, the consortium assessed the experiences of about 17,996 Ghanaians on corruption, their perceptions about the social vice and understanding of the social evil and its manifestation. 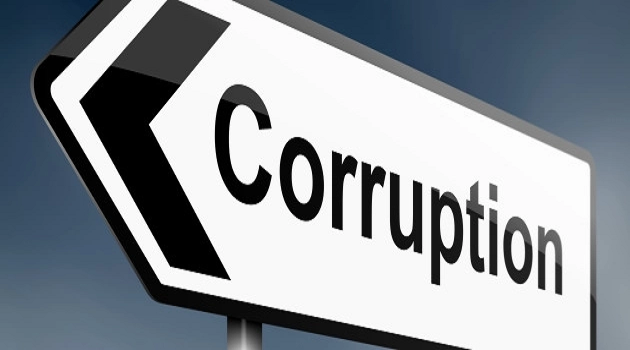 “Corruption is eating us up: A call to action,” was undertaken in 2016 and launched in March 2017, with the support of the USAID. Assessing the actual experiences of citizens who paid bribes in their contact with public institutions, the study detailed that most Ghanaians (76 per cent ) paid bribe in their dealings with the Customs Division of the Ghana Revenue Authority (GRA). It was followed by the Driver Vehicle and Licensing Authority (DVLA) where 74 per cent of respondents paid a bribe, the passport office with 63 per cent and the Ghana Police Service with 61 per cent. These topped the list of the public institutions covered in the study, with the Judiciary, the registry and permit services such as the births and deaths registry, the GRA, the education system, the Public Utility Services, the health service, the military, Municipal, Metropolitan and District Assemblies (MMDAs), social protection services, political parties, the media and the business/private sector following in the rankings. Religious bodies and non-governmental organisations were institutions where the least number of Ghanaians paid a bribe in their dealings, six per cent of Ghanaians being the number that paid bribes. “Corruption is eating us up: A call to action,” indeed points to the fact that on society is wrapped in a garb of corrupt practices. The public institutions listed above are the significant ones dealing with all our life’s issues from birth to death, and not one of the institution was found not to have taken bribe. Those who have integrity are a handful. Since I am in the media, I will start with my kind. Fourteen per cent of Ghanaians in their contact with the media paid bribes. For Ghanaians to pay bribes to those who should be protecting their rights and ensuring the good governance in all sectors, is disappointing. More disappointing too is the fact that another six per cent of Ghanaians paid bribes to religious organisations, normally known to be institutions built on values of faith, giving rather than taking and helping the poor. Corruption is indeed eating Ghana up! The country needs the commitment of all in curbing it! There must be a national effort to re-orient Ghanaians about integrity. Perhaps, it must start with the managers of the economy, managing so well that wealth and opportunities would be shared equally for all to benefit and not the elite few. It may defuse the passion to get rich at all cost and by all means! It will require the country’s National Anti-Corruption Action Plan (NACAP) to be led by the powers that be and pushed just as the establishment of the Office of the Special Prosecutor was pushed and established. It will require a complement of actions, detailed under the NACAP and also the resources to run. It may be beneficial to the individual indulging in the short term, but its impact is devastating and far reaching; like a boomerang it comes back to haunt them. It may haunt them in deprived rural communities where relations live and have no access to basic social services such as healthcare. It haunts all on the shoddy and deteriorating roads that claim the lives of loved ones!